Progress has been made the past few days on some projects. Yippee! 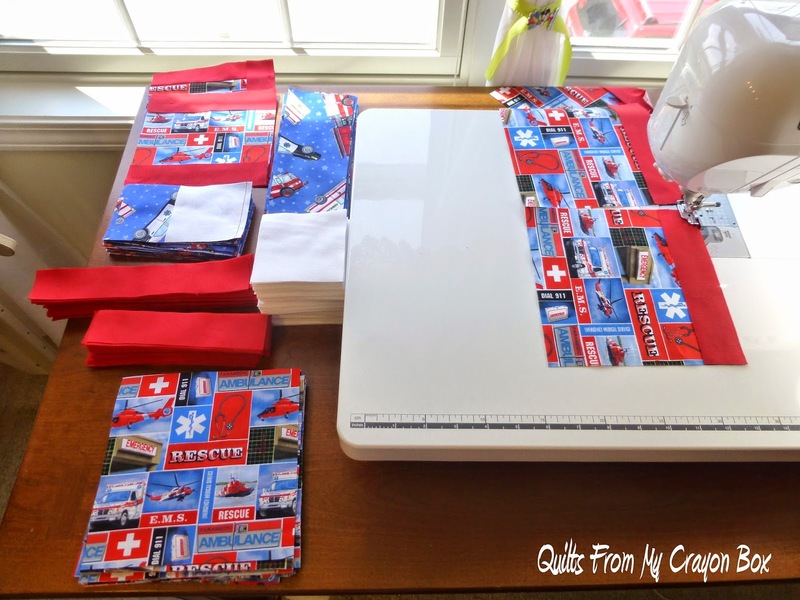 On Wednesday I worked on the EMS/Fire quilt that will be raffled off during an industry trade show next month. There was lots of chain piecing happening. By the time I left to pick up the kidlets from school, I had completed the Red frames around all the focus blocks. Plus I was able to complete a couple of the blocks so that I could show my boss. 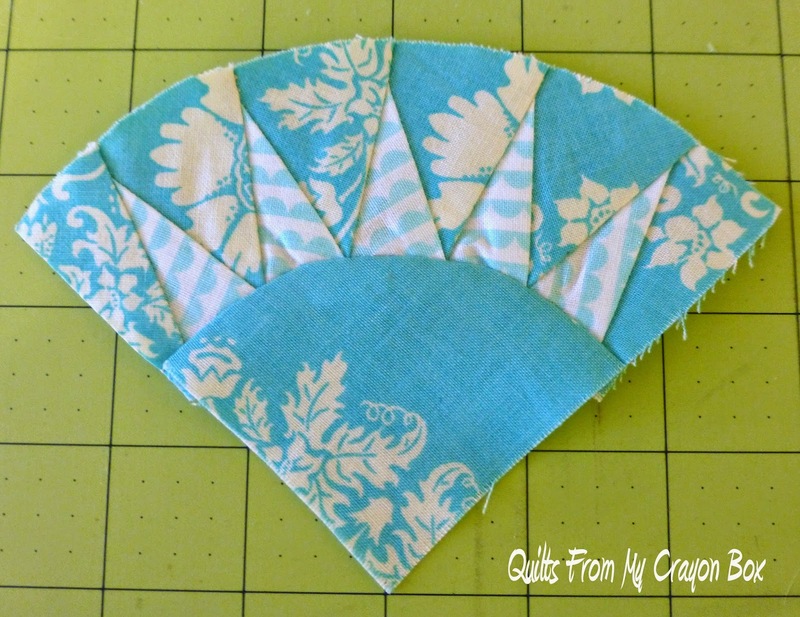 This quilt is going to turn out great and I hope that it raises a lot of money for the Susan G Komen Race for the Cure. 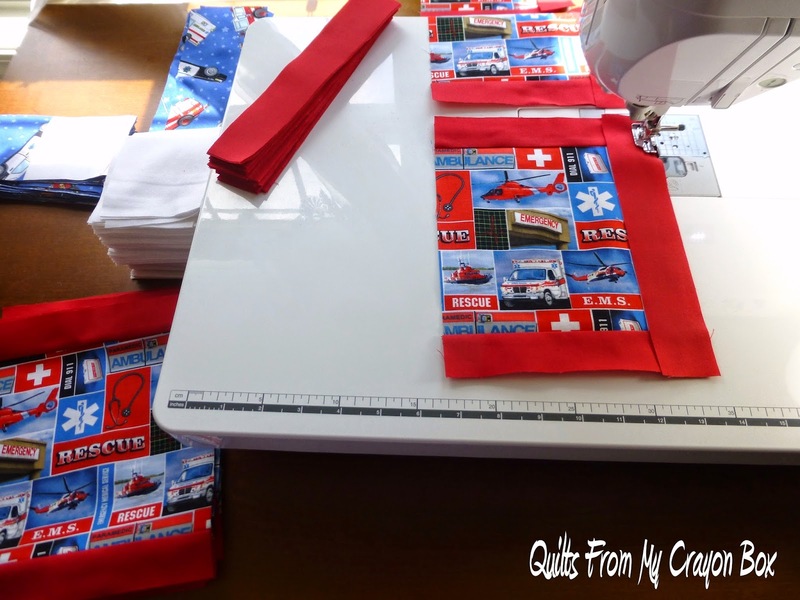 Yesterday was another sewing day, after I got back from grocery shopping that is. By Jove, I think I've got it! This was only my 2nd attempt at paper piecing and I'm really happy with the way it turned out. 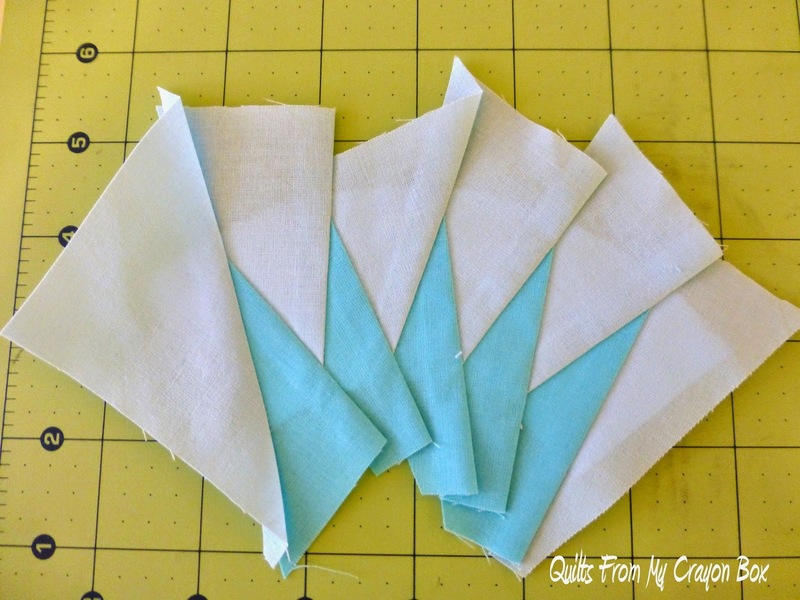 Here is a sneak peak at what all the paper piecing practice is for. As you can see, this is really small. It will finish at 3 1/2" high. Sewing the inside curve on an arch this tiny wasn't easy! 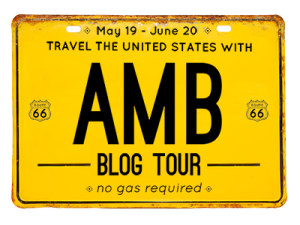 This bit will be part of my New York license plate block for the American Made Brand Blog Tour that starts on Monday. The entire tour schedule can be found on the above link and I will be sharing my creation on Monday, May 26th. You won't want to miss this! 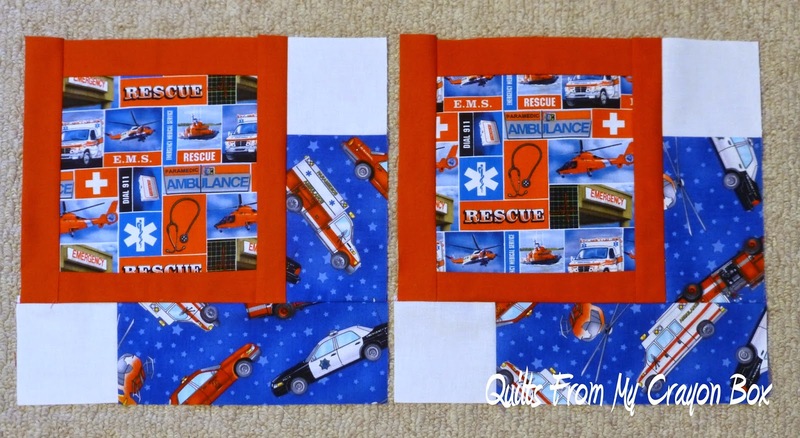 Today I hope to finish up this block and I'm hoping to finish the EMS/Fire quilt top by the end of the day tomorrow. So what are you working on this weekend?